REVAMP | Challenge your limits. Ready to challenge your limits? Welcome to REVAMP, where we invite you to challenge your limits with us. We are a health and wellness company based out of the D.C. area. While our primary focus is corporate wellness, we are incredibly dedicated to helping individuals grow and prosper as well. For this reason, we decided to extend our services and membership to individual clients. Here at REVAMP, we know we have the power to make everyone’s day-to-day lives better. So we’re doing it, one incredible client at a time. Our bread and butter – we’re changing the corporate wellness game every single day. We invite you to join us and see for yourself! Group sessions that provide a super motivating team environment and encourage hard work and dedication to the very last minute! One-on-one sessions with a member of our staff to focus on individual growth in more concentrated areas – we love one-on-one training! REVAMP has partnered with the best meal-prep experts in the game. 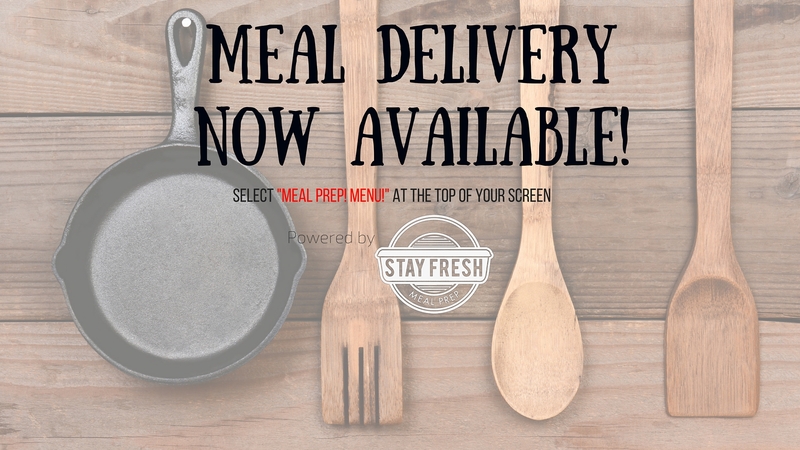 Fresh, delicious meals available for pick-up or delivery once a week! Nutrition, fitness, and overall wellness plans designed by our top health professionals to keep you motivated and on the right track! Baseline fitness testing – this helps us give you a starting point, keep you motivated, and monitor your progress! Our revolutionary software platform that tracks your four pillars of wellness – rebuild, refuel, reboot, and reconnect with us! We’ve brought on an incredible hydration team – they’ve invented a revolutionary water bottle. It’s so great that they’re still building it. Coming soon! Ben is our technology expert. He’s our software guru and keeps everything up and running on the web. He handles all technical support and manages all technology staff. Liam is a Division 1 college athlete and high school soccer coach with extensive knowledge in muscle and strength training. 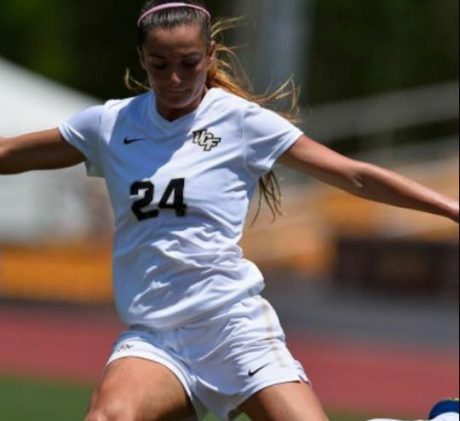 Cortney is a Division 1 soccer player with extensive knowledge in speed/agility, especially pertaining to soccer. She runs exciting, cutting-edge speed/agility clinics in the summers. 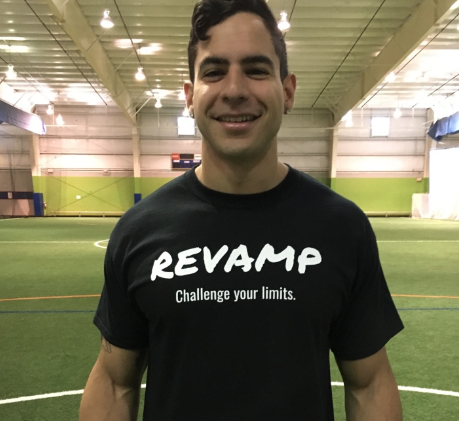 David is one of our lead group fitness instructors, with a background in weightlifting, football training, and total body conditioning. Our Northern Virginia home! This place is amazing – it’s massive, it’s beautiful, and it’s WEATHERPROOF. We always have an incredible place to train, rain or shine! The Field House has two giant turf fields, a basketball court, cardio equipment, locker rooms with showers, and an AWESOME speaker system! Corporate Clients: PLEASE CALL US for more information about our locations in the D.C. area! We cater to you! Starting small? DROP IN FOR $10! Just come ten minutes early and pre-pay at the facility! The possibilities are endless for individuals at REVAMP. You have the freedom to choose your own membership, build a package, or just drop in on a weekly basis depending on what works best for you. Browse the tabs to the right and check out our pricing tables below to learn more! -You’ll be redirected to our class calendar – select a session to schedule a drop in OR select “Sign Up” to get started with your membership! -Fill out the necessary steps and you’ll have your membership or drop-in spot reserved! -Attached to your invoice will be your liability waivers and a health status questionnaire. Please make your payment and fill out your waivers BEFORE you come train with us in order to be eligible to participate! We can’t check you into our software upon arrival unless you’ve paid! You’re all set! We can’t wait to meet you! We offer a wide range of services for our individual clients, with the majority of our benefits applying to members. 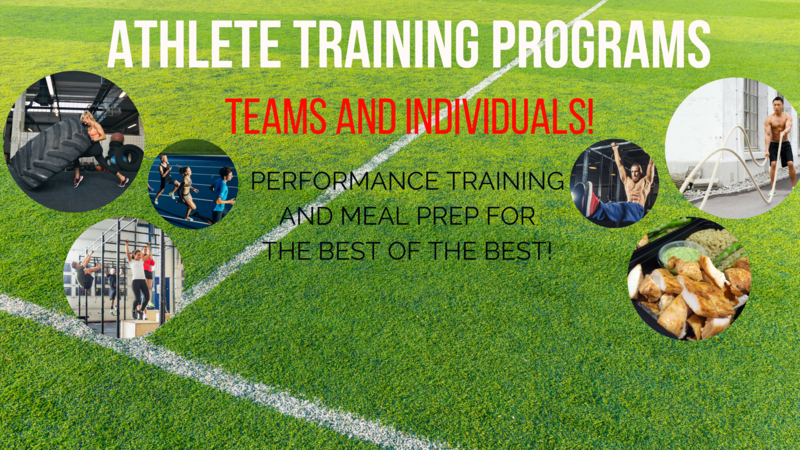 These include group fitness sessions, personal training, nutritional consultations, wellness consultations, lifestyle plans, speed & agility sessions, fitness testing, team-building sessions, stress management, smoking cessation, our summer Boot Camp & BBQ, and more! We conduct baseline fitness testing, health risk assessments, and wellness surveys to give us a better understanding of where you’re at and to give you a starting point from which to climb the “REVAMP Ranks!” After your initial test, we offer testing once a month if you think you’re ready to advance to the next level! Unlimited Group Classes -16 classes in a month! Unlimited Group Classes - 48 classes in three months! Unlimited Group Classes- 96 classes in six months! $50 of Extra REVAMP Swag! Corporate Wellness is the core of what we do here at REVAMP. We are so passionate about bettering as many lives as we possibly can, 24-7-365. We are changing the definition of “corporate wellness initiative” by changing the game. We focus on each pillar of wellness for each individual of your company down to every last detail. Scroll through these tabs and find out more about what we offer! We offer a range of products to help better your company. These include a welcome basket, the WellnessWheel software, weekly snack boxes, weekly meal delivery options, hydration monitoring water bottles per employee, the WellnessWall, REVAMP t-shirts, workplace nutrition plans, monthly newsletters, recipes of the week, an incentive table, REVAMP Spotify playlist, and more! We offer a large variety of services in all the different wellness pillars. As part of the contract, we’ll offer your company your dedicated program coordinator, an intro/implementation meeting, group session time slots, individual session credits for each employee, personal training, a walking club, nutrition plans, wellness plans, the sleep monitoring system, group challenges, health assessments, fitness testing, team-building sessions, lunchtime seminars, our summer “Boot Camp & BBQ,” and more! We assign you a REVAMP program coordinator whose one and only job is to run the wellness program for your company. They are solely dedicated to your contract and become the face of REVAMP in your office. This is a key component of what sets us apart. Your employees become familiar with this person, they feel comfortable asking them for help and feel motivated by them. This is what makes the ultimate difference. We provide baseline wellness assessments, fitness testing, and health risk assessments so your employees have a starting line from which to grow. We offer interim testing every three months after the initial testing if employees wish to see the status of their progress. This also ensures the employer that our program works exceptionally well. The numbers will shock you! We’ve put blood, sweat, and tears into the creation of all of our services, but our software is exceptionally special. We’ve finally developed something to help you be the best you can be – to REVAMP you- and this is it. This is the difference maker. This software is what makes us revolutionary in the wellness industry. We work with you on everything: goal setting, hydration monitoring, exercise, social skills, brainpower. You name it, we do it. And we did it for you. Check out our awesome platform below…. I have been training with Devon for 6 months now and could not be happier with the results. Aside from losing weight, I have gained muscle strength that I desperately needed as a Registered Nurse in the ICU. 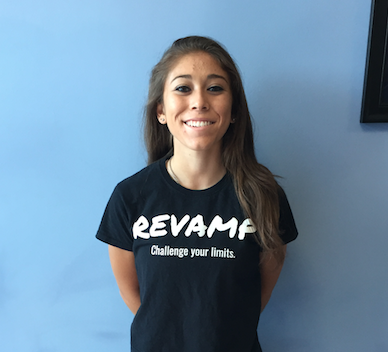 Devon is extremely knowledgeable about health and fitness and her passion for working out makes it enjoyable. REVAMP is doing what no other wellness company has been able to do. 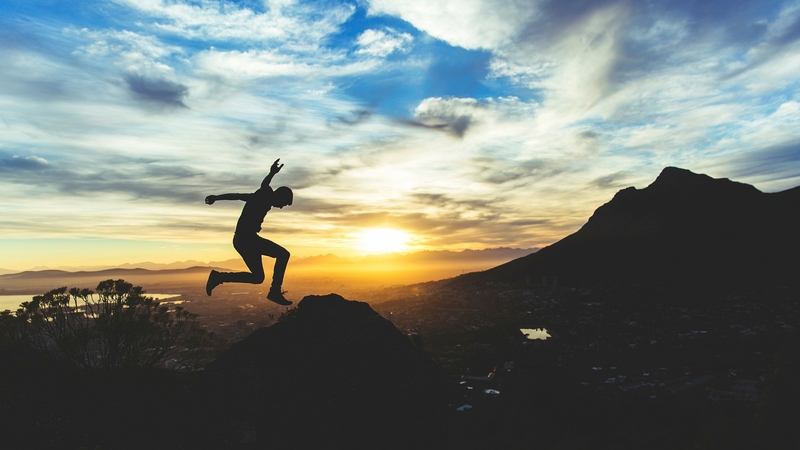 It’s the combination of great software and a killer staff and gamification of wellness- a combination that all other wellness companies have seemed to fail at miserably. REVAMP’s technology is revolutionary. They are taking the wellness game and flipping it upside-down and giving it a new name. They’re wellness champions! REVAMP is the difference-maker for me. It’s constant 24-7 motivation and support and it’s what helped me become my best self. I owe REVAMP everything!! REVAMP Wellness came to our company ten months ago and the office hasn’t been the same since. There’s a feeling of camaraderie that never dulls, a constant team-building initiative in action. Our work is better, our time is used more efficiently, and we’re all more energized. You can see the REVAMP difference immediately! 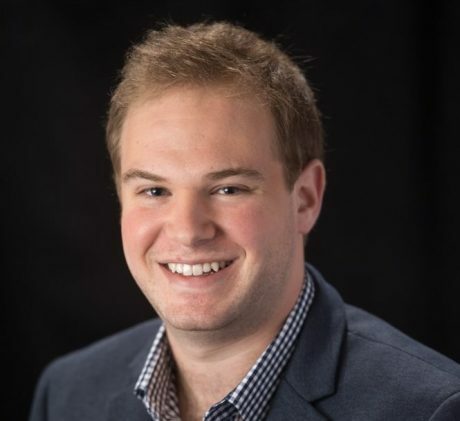 Scott has been with us through our corporate program for three months and we’re so impressed with his progress! 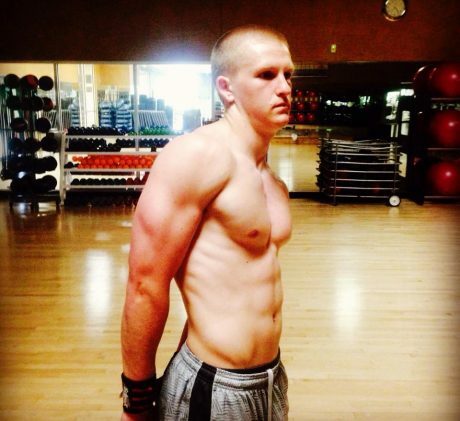 He attends his company boot camp twice a week and is a consistent personal training client. His nutrition improvement is unparalleled and we can’t wait to see him grow and succeed in the future! 1.Why REVAMP Wellness for my company? There are dozens of wellness solutions out there. Yes, you’re right. There are other wellness solutions out there. However, NONE (and we’re not biased, there are truly none) that do what we do. We’ve got killer software and incredibly dedicated program coordinators who live and breathe REVAMP. Their only goal is to make you better, because we truly believe in what we’re doing here. We’re making the world more well, and we couldn’t be more excited. 2.Why buy a membership if I can schedule fitness or nutrition sessions without one? Valid question, but here’s why. The membership is the ultimate difference-maker. It includes the revolutionary software, the member events, the hydration monitoring, the sleep tracking, the support system. We want you to be the absolute best you can be, and the membership is the way to do it. 3.How do I access my WellnessWheel software? Once you’ve signed up for your membership (YAY! ), we’ll send you a confirmation e-mail and follow up shortly after with all of your login information for the WellnessWheel. You will find all other member “perks” under the “Members” tab at the top of our homepage. Your Message Has Been Sent! Thank you for contacting us. We'll get back to you shortly.